More than 10 years ago, a librarian friend put a novel in my reading "radar." Amid my exploration of a new genre - Christian romantic suspense fiction - she suggested I check out Danger In The Shadows, the prequel to the O'Malley Series by Dee Henderson. I still remember sitting on my back porch, reading that book. It engrossed me. It "kept me up" with its suspense. In fact, it was the first novel in years to literally "scare me' awake. (The last being a Frank Peretti novel in Seminary). That novel was the beginning of a love affair with Henderson's writing style. I know, I know, Christian romantic suspense. It might sound like an oxymoron, but it's not. It's a writing style that a few authors have mastered. It's also a style that Henderson has not only conquered, but set the bar for everyone who would follow. On Oct. 2, 2012 (10 02 12) - it's "Dee Day of sorts in the publishing world. 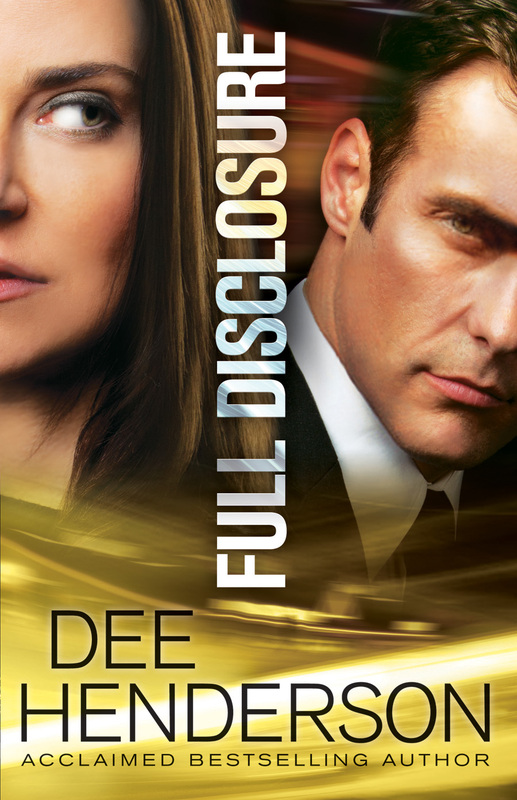 Henderson's latest release, Full Disclosure, will hit the bookshelves. It's a novel that I've been anxiously awaiting, since I heard Henderson was writing again. I was lucky enough to win an advanced copy. I eagerly awaited it's arrival - and was not disappointed. Full Disclosure follows the lives of Ann Silver and Paul Falcon. It also pulls in past characters from Henderson's previous works (in surprising ways). The novel has two plots going throughout it's pages - the developing friendship and ultimate romance between Silver and Falcon, along with the discovery and ultimate surprising arrests - surrounding a female assassin. The book was an amazing read. It was not what I expected. I truly thought after reading (and truly dissecting) Henderson's previous works (the O'Malley Series, Uncommon Heroes Series, and her stand-alone books Kidnapped (published first as True Courage) and Before I Wake, I would be able to guess what would happen next. Nope. Even though I've read a ton of her books, Henderson had new tricks and tips up her writing sleeve with this novel. It was gripping, striking and amazingly full of intrigue. It's definitely a book that I couldn't put down - and one I'm going to read again and again. I love how she crafted a "real life" aspect to Falcon and Silver's relationship. I also love how the book's ending truly left me surprised. On the scale of one to five, I give this novel the rare and elusive FIVE. I truly believe you will not be disappointed if you pick up this book. Watch the book's video trailer! Note: As a freelance journalist, I was provided a copy of this book by Bethany House Publishing, a division of Baker Publishing Group. This review was not influenced by a free book - just in case you (or the FTC) were worried about this detail.